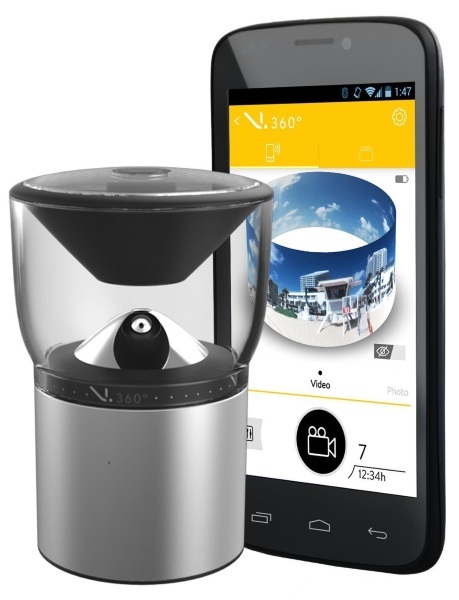 This is a camera designed to work with an app for capturing 360-degree videos. It’s made to film life, as it happens, not matter how wet, dusty, or dangerous it is. It’s dust, shock, and waterproof up to three feet so you can really get all of those action shots your sporty heart desires. It features dual microphones so no sound is lost as your film your adventures. It also comes with a GPS, barometer, altimeter and an accelerometer so that that you can capture everything that happens, even as you’re whizzing by. The VSN HD Camera Kit is $419.